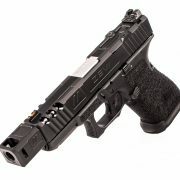 ZEV Technologies, best known for their aftermarket Glock parts, has introduced their first pistol, the O.Z-9. The new pistol, reputedly 12 years in the making, boasts a modular system composed of slide, frame and an internal steel receiver. 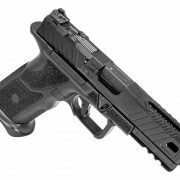 Here’s ZEV’s press release announcing the launch of the new pistol in full: ZEV spent 12 years perfecting […] Read More … The post ZEV Technologies Introduces First Pistol – the O.Z-9 appeared first on The Firearm Blog. 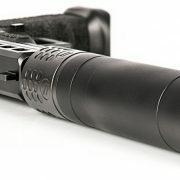 ZEV Technologies has unveiled a new compensator for Glock pistols. Specifically designed for the Glock 19, the new ZEV PRO Compensator can be mounted on any Glock with a 1/2 x 28 threaded barrel. ZEV Tech explains that the Pro Compensator will ‘generally cycle with standard 9mm ammunition without any modification to the guide rod or recoil […] Read More … The post NEW ZEV PRO Compensator from ZEV Technologies appeared first on The Firearm Blog. 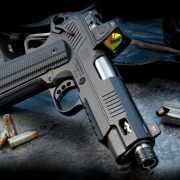 Ed Brown Products has teamed up with trigger specialists ZEV Technologies to launch a new 9x19mm 1911. 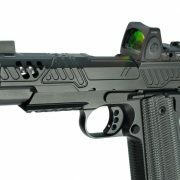 Building on their FX1 the new pistol has an edgier, more aggressive aesthetic. The long-established Missouri-based custom 1911 builders have collaborated with ZEV to create a 1911 based on one of ZEV’s designs, the Dragonfly. The pistol features aggressive […] Read More … The post Ed Brown Teams Up with ZEV Technologies for New 1911 appeared first on The Firearm Blog. CGS Suppressors and Zev Technologies have joined forces to bring the “lightest, quietest and most versatile” 9mm silencer on the market – a bold statement. The Kraken, constructed of stainless steel and aluminum, is reported as being metered at 114 dB using milspec testing standards. For those not familiar with decibel metering, suppressed subsonic rimfire rifle […] Read More … The post CGS Kraken Now At Zev Technologies appeared first on The Firearm Blog. Brandon H. shared this harrowing experience with us. Disclosure: Brandon and TFB are in no way trying to discredit Zev Tech and their products. This is just one documented instance but it is an important one. 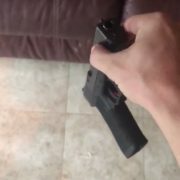 For those running a similar trigger, please check them and make sure they are safe. I put a gun […] Read More … The post PSA: Zev Tech Out Of Spec Trigger NOT DROP SAFE appeared first on The Firearm Blog. Zev, known for their high-end Glock offerings, is pushing ahead with new products for new platforms. Having become one of the star players in the de-facto handgun completely customizable platform, they are turning their attention on another completely customizable platform, the AR-15. 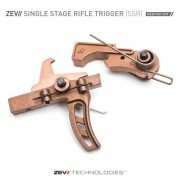 The new SSR is a non-drop-in trigger, “designed to bridge the gap between the […] Read More … The post ZEV Introduces Adjustable Single Stage Rifle (SSR) Trigger appeared first on The Firearm Blog.